KITENDE – Vipers will be desperate for three points when they host Maroons at the St. Mary’s stadium on Wednesday afternoon. With only seven (7) games to play in the season, the Venoms find themselves trailing leaders KCCA FC by four (4) points. At home to Maroons, they are expected to take all three points but with the way they have been performing lately, they will know nothing is a certainty anymore. Vipers come into Wednesday’s encounter on the back of two competitive losses in their last two games. They lost 2-1 away to Nyamityobora in the League before they were also dumped out of the Uganda Cup at the quarter final stage by Big League side Proline. Vipers’ head coach, Nam Ouma knows the pressure on his side and he too thinks they must perform. “It’s a game we are expected to win therefore we must play to our expectations and standards to get the required results. Said Ouma ahead of Wednesday game. The Kenyan tactician is expected to ring some changes in tomorrow’s starting lineup as he tries to rotate his charges bringing in fresh legs to the side. 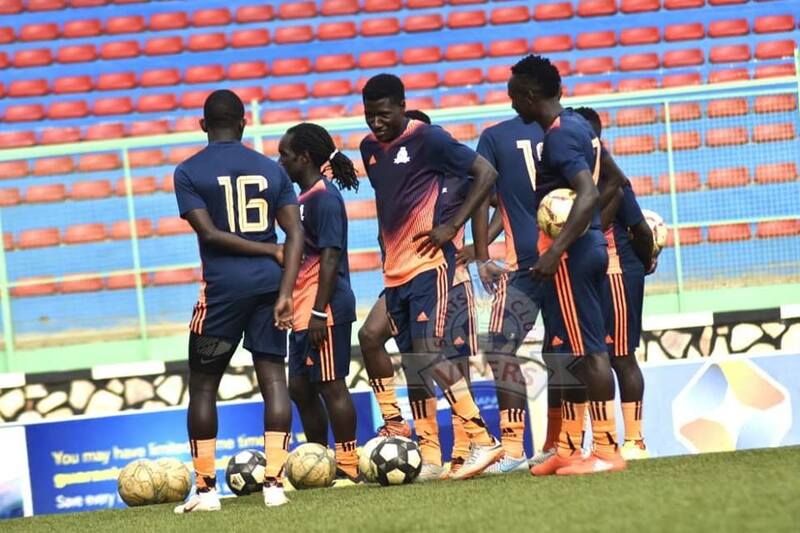 Tadeo Lwanga, Moses Waiswa and Halid Lwaliwa who were part of the Cranes team that lost 3-0 to Tanzania over the weekend, may return to the fold if the coach deems them fit enough to start. Defender Bashir Asiku together with Tito Okello will be unavailable for this game as they serve suspensions due to accumulated cards. 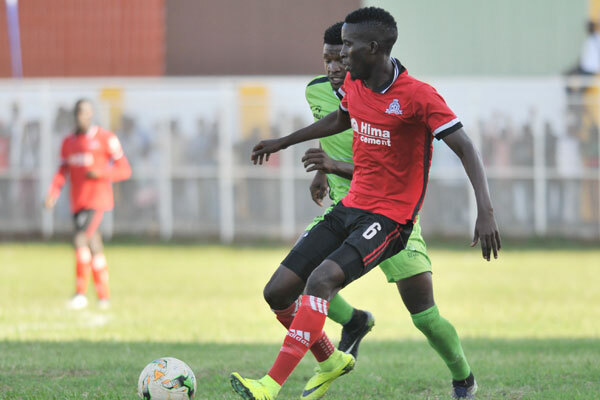 Livingstone Mulondo who has been sidelined for a while resumed training with the rest of his teammates however, this fixture comes too early for him thus he is not expected to play any part in it. Yayo Lutimba who has been frozen out in the recent past is expected to be part of the team although it remains to be seen if he will start. Fabien Mutombora is away in Burundi for national duty therefore Derrick Ochan will start in goal with Vipers U-19 goalkeeper Mitwalib Mugolofa as his deputy. Geoffrey Wasswa and Bashir Ssekagya also remain long term absentees with knee injuries. For Maroons, they are still somehow involved in the relegation dog-fight. At the start of the day, the Prisons’ side are only 5 points way from the relegation zone and know they need everything they can get out of games at this stage, in terms of points. Going to Kitende and picking up something may be easier said than done but with the likes of Solomon Walusimbi, Seif Batte, Pius Obuya, Maxwell Okello, Ronald Orombi, Abbey Samson Mutyaba, Brian Majwega, Herman Wasswa Nteza and Dan Wagaluka, Maroons will at least give it a go. This will be the 10th top flight meeting between the two sides since March 2011. In the previous 9, Vipers have not lost any, winning 6 and drawing the other three. At home, Vipers have been magnificent against Maroons, winning three of the four games (D1 L0) and in the process, scoring four goals whilst conceding only one. The only goal the Venoms have conceded against Maroons at home, was in the 1-1 draw between the two sides in the reverse fixture last season. The first meeting between the two sides this season ended in a 2-1 win for the Venoms with Moses Waiswa scoring a controversial free kick that some still believe didn’t go in. Going into the game, Vipers have won only two of their last 6 League games (D2 L2). However, at home, the Venoms have lost only one of their last 21 League games (W17 D3). The only loss in that period came against SC Villa on 09-02-2019 in a 3-1 defeat. For Maroons, they enter into the game having won only three of their last 10 League games (D3 L4). Away from home, the Prisons’ side have won only two of their last 17 league games (D9 L6).